The temporomandibular joint (TMJ), located just in front of the lower part of the ear, allows the lower jaw to move. The TMJ is a ball-and-socket joint, just like the hip or shoulder. When the mouth opens wide, the ball (called the condyle) comes out of the socket and moves forward, going back into place when the mouth closes. TMJ becomes dislocated when the condyle moves too far and gets stuck in front of a bony prominence called the articular eminence. The condyle can't move back into place. This happens most often when the ligaments that normally keep the condyle in place are somewhat loose, allowing the condyle to move beyond the articular eminence. The surrounding muscles often go into spasm and hold the condyle in the dislocated position. The jaw locks in an open position and you cannot close your mouth. The condition can cause significant discomfort until the joint returns to the proper position. The dentist bases the diagnosis on the position of the jaw and the person's inability to close his or her mouth. The problem remains until the joint is moved back into place. However, the area can be tender for a few days. TMJ dislocation can continue to happen in people with loose TMJ ligaments. To keep this from happening too often, dentists recommend that people limit the range of motion of their jaws, for example by placing their fist under their chin when they yawn to keep from opening their mouths too widely. Conservative surgical treatments can help to prevent the problem from returning. Some people have their jaws are wired shut for a period of time, which causes the ligaments to become less flexible and restricts their movement. In certain cases, surgery may be necessary. One procedure, called an eminectomy, removes the articular eminence so the ball of the joint no longer gets stuck in front of it. Another procedure involves injecting medications into the TMJ ligaments to tighten them. The muscles surrounding the temporomandibular joint need to relax so that the condyle can return to its normal position. Many people can have their dislocated jaw corrected without local anesthetics or muscled relaxants. However, some people need an injection of local anesthesia in the jaw joint, followed by a muscle relaxant to relax the spasms. The muscle relaxant is given intravenously (into a vein in the arm). Rarely, someone may need a general anesthetic in the operating room to have the dislocation corrected. In this case, it may be necessary to wire the jaws shut or use elastics between the top and bottom teeth to limit the movement of the jaw. To move the condyle back into the correct position, a doctor or dentist will pull the lower jaw downward and tip the chin upward to free the condyle . The doctor or dentist then guides the ball back into the socket. After the joint is relocated, a soft or liquid diet is recommended for several days to minimize jaw movement and stress. People should avoid foods that are hard to chew, such as tough meats, carrots, hard candies or ice cubes, and be careful not to open their mouths too widely. 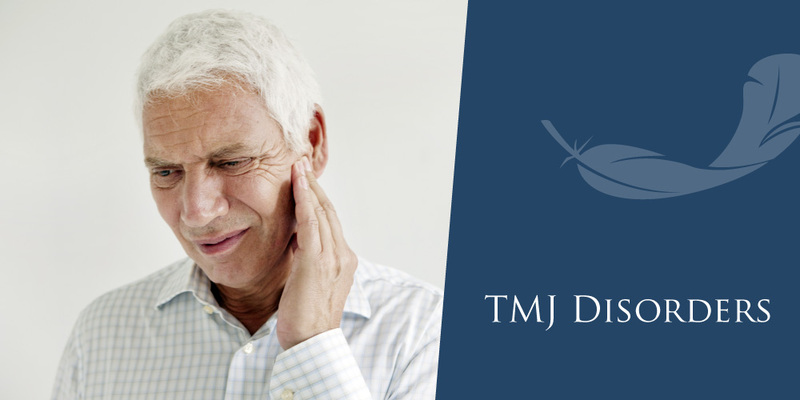 A TMJ dislocation requires an immediate visit to the doctor or hospital emergency room to have the joint put back in place. You may be referred to an oral and maxillofacial surgeon for treatment.